Rugby tour to the Netherlands? In May 1983 a couple of keen rugby players in Purmerend (a city very close to Amsterdam) decided to start a rugby club. Under the control of Erwin Welbergen they finally founded Rugby Club Waterland on the 26th of August that year. The location was at the Westerweg, the D-field of FC Wherevogels. After a year it was decided to build a wooden shed, that we called our clubhouse. During this time the numbers had increased till there were over 50 members. We decided to register a 2nd team, a 1st team, already promoted to NoordWest-1, and a 2nd team in NoordWest-2. In 1986 for the first time we organised what they call ‘stratentoernooi’ when members of the club together with family, friends, colleagues or neighbours create teams and battle each other. Meanwhile many hundreds of locals have seen and experienced rugby and many current Waterlanders have become members of the club because of the tournament. 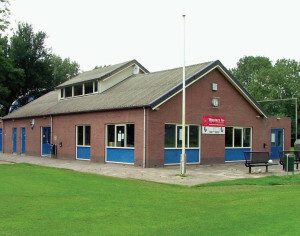 In 1988 the members of Rugby Club Waterland, under the enthusiastic control of Piet van Twisk and Peter Bus, designed and built a new brick clubhouse at the Van IJsendijkstraat 367, which the surrounding rugby clubs are still jealous of. In the course of time the number of members had grown, and in 1994 a serious junior division was created. The 13-14 age group were national champions in 2007! RC Waterland has its own team in every age-category and each team has its own trainers and team manager. 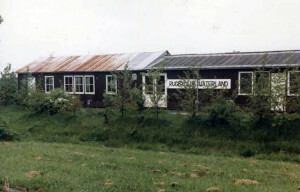 Because of the increase in members (from 20 in 1983 to 150 members 20 years later), it was decided to build a clubhouse that was fit to receive guests. Piet van Twisk organised this. In 2004 the building was ready and we celebrated its opening! We are proud of the in total 4 dressing rooms, a gym, a very modern kitchen and an expanded canteen. The number of members approaches 275, so you can say it’s one of the biggest rugby clubs in Holland. Nevertheless there is a cosy atmosphere and anyone is welcome. Rugby Club Waterland finally started ladies rugby in 2005. In 2006-2007 for the first time and not without merit this group joined the national competition. We offer all types of rugby in Purmerend. Even the older men, often old-rugby players, but sometimes also enthusiastic parents from youth members, make up the veteran’s team “the Old Mermaids”. Outside of rugby, there is much to do at RC Waterland. We have organised every year since 1993 the Pumerendse Highland Games, and we receive foreign youth, ladies, gentlemen and veterans teams. Our members go on tour every year to a foreign country to learn about the (rugby) culture and since 2002, we have entered all categories at the biggest beach rugby festival (more then 150 team from home and abroad) in Europe that is held in Ameland. You can also do weights and fitness training under supervision.